How much hair we pull out of the shower drain each day is hardly a topic to bring up in polite conversation. Yet many of us lose so many strands while shampooing, combing or styling, that we wonder if we are shedding a normal amount of hair, or if there is something wrong. I hear this question frequently from patients at my Eugene plastic surgery practice who are concerned about maintaining a healthy head of hair, so I thought it might be helpful to discuss what exactly constitutes normal hair loss. It’s normal to lose some of your hair every day. Hair growth is a cycle consisting of an active growth phase, followed by a renewal phase, when the follicle naturally sheds the existing hair shaft to allow for new growth. The process takes about six weeks, and each hair follicle on your head is at a different point in this cycle at any given time—this keeps you from losing all your hair at once every so often. On average, we lose about 0.1%, or 50 to 150 hairs per day. The exact amount will vary from person to person, based on genetics as well as your grooming habits—if you habitually wear your hair in a tight updo, or aggressively pull through tangles, you are probably going to shed more hair each day than someone who takes a more gentle approach to styling. What does 100 strands of hair look like? If you have fine hair, and wear it short, 100 hairs may be barely noticeable. If you have dark, coarse hair that falls down to your mid-back, even a normal amount of hair loss can look fairly alarming. This is one reason why females tend to be more concerned about daily hair loss—women’s hairstyles tend to be longer, so they are more likely to notice the hair they have shed. And remember, your head will shed about 100 hairs per day regardless of whether or not you comb or wash them out. If you go a few days between shampoos, it may appear as though you lose more hair than average, when really you are just removing a few days worth of normal hair shed all at once. If your hair thickness and volume seem stable, those clumps of hair you pull off your brush or out of the drain each day are probably nothing to worry about. However, if you’ve noticed a distinct increase in the amount of hair that comes out when your comb or brush, your hair seems thinner overall, your hairline is receding, or you can see more of your scalp than you used to, this indicates something else is going on. Excessive hair loss can be caused by extreme stress and certain medical conditions, such as psoriasis or thyroid disorders, or certain medications—if you suspect your hair loss may be related to another health issue, talk to your doctor. A change in your treatment protocol may be enough to correct the problem. Progressive hair thinning or a receding hairline is most likely due to “androgenetic alopecia,” or inherited pattern baldness— research estimates that about 70% of men and 40% of women are subject to hereditary hair loss. If one or both of your parents or grandparents have experienced pattern baldness as they age, chances are you will too. If hair loss is interfering with your self-confidence, or you are unhappy with its effect on your appearance, it’s worth scheduling an appointment with a qualified physician who is experienced in hair loss treatments, such as a board-certified plastic surgeon, to discuss treatment options. I hope I have answered a few of your questions about hair loss. If you are in the Eugene area, I invite you to contact me at Movassaghi Plastic Surgery for more information. I am passionate about helping patients find safe, lasting ways to improve their appearance, and I offer private, personalized consultations for both men and women concerned about hair loss. 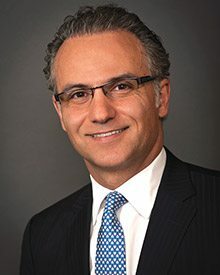 At Movassaghi Plastic Surgery & Ziba Medical Spa in Eugene, Oregon, Dr. Movassaghi and his team provide individualized, patient-centered treatment plans that incorporate the latest, proven aesthetic technologies and techniques. For more information, call 541-686-8700 or visit drmovassaghi.com .